She had suffered a stroke at the party . Had they known how to identify the signs of a stroke, perhaps Ingrid would be with us today. 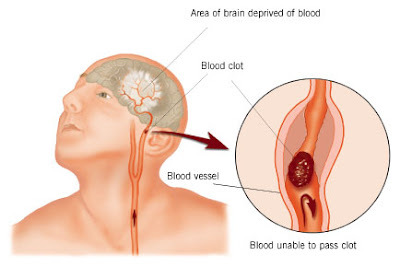 Sometimes symptoms of a stroke are difficult to identify. Unfortunately, the lack of awareness spells disaster. The stroke victim may suffer severe brain damage when people nearby fail to recognize the symptoms of a stroke. S * Ask the individual to SMILE ..
T * = TALK. Ask the person to SPEAK A SIMPLE SENTENCE (Coherently) (eg 'It is sunny out today'). R * Ask him or her to RAISE BOTH ARMS . If he or she has trouble with ANY ONE of these tasks, call the ambulance and describe the symptoms to the dispatcher. 1. Ask the person to 'stick' out their tongue. 2. If the tongue is 'crooked', if it goes to one side or the other that is also an indication of a stroke. A prominent cardiologist says if everyone who gets this e-mail sends it to 10 people; you can bet that at least one life will be saved..
and it could be your own..